Dr Kali Hayward Studying medicine while raising four young children takes an impressive amount of commitment and effort. Aboriginal mother Dr Kali Hayward overcame the odds to become an award-winning GP and medical trainer, and an inspiration for others. Kali Hayward has never forgotten the insult delivered by her doctor when she sought medical advice as a pregnant 16-year-old. She was told she’d brought shame on herself and her family. The contemptuous put-down left the young Kali feeling humiliated – but it also provided a huge incentive. “I took on those words quite literally and unfortunately I then linked every pregnancy I had with shame,” she says. But she never voiced her thoughts at the time because the concept seemed inconceivable. She’d never seen an Aboriginal doctor and didn’t believe she had any chance of becoming one. She moved from Mildura to Adelaide with her husband Donald and growing family, and did a clerical traineeship before working at a kindergarten and in the education department. “It was a fabulous course and gave me an opportunity to experience university life and what it meant,” she says. Most important, it also gave Kali the courage to enrol in medicine. She was 25 at the time with two young children, Joshua and Caleb, and she gave birth to two more, Isaac and Cassie, during her studies. Both elder boys are now pursuing studies at the University of Adelaide. Joshua is studying teaching while Caleb has enrolled in politics. Her determination to succeed was also driven by injustices suffered by her father, Jack Braeside, who was one of the Stolen Generation. Jack was descended from the Warnman people of Western Australia and was taken away from his family as a child. Kali took the challenge of studying medicine while raising a family in her stride. After graduating in 2005, Kali did her general practitioner training through Adelaide to Outback and became a GP at Nunkuwarrin Yunti, an Aboriginal medical service based in Adelaide. Her efforts were soon rewarded. “One of the elders in our community came in and recognised that I was Aboriginal and broke down in tears,” says Kali. In addition to her clinical work, Kali is a member of the University’s Faculty of Health Sciences Advisory Board. She is also a Medical Educator and GP Registrar Supervisor with GPEx, a role which earned her the GPEx award for Aboriginal and Torres Strait Islander training in 2011. Two years ago, she was awarded the Premier’s NAIDOC award. 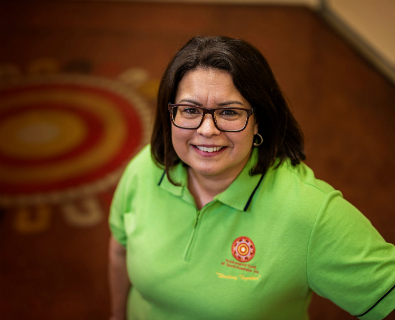 Since 2015 Kali has been President of the Australian Indigenous Doctors’ Association which is striving to encourage more Aboriginal and Torres Strait Islanders to pursue a career in medicine. There are currently about 265 – a significant increase since the first Aboriginal doctor graduated in 1983 – but still well short of the organisation’s target. When she gets time, Kali also wants to focus on culturally appropriate end-of-life-care for Aboriginal people. “That’s one of my goals but I need to take one of my hats off and leave it off if I’m going to go down that path,” she says.